Armed Forces Eyewear introduces a new look. Austin, TX - January 23, 2013 - AFEyewear.com, originally launched in 2008, has updated and improved its website, which is designed to honor all current and retired military personnel and their families. AFEyewear.com has always been committed to providing affordable and premium quality eyewear for every military family, and its newly streamlined website, www.AFEyewear.com, is now even easier to use and navigate. AFEyewear.com marketing manager, Lauren Purcell, said "having access to affordable eyewear is a need for every military family, and AFeyewear.com is here to meet those needs and exceed users' expectations. AFEyewear.com was designed for one purpose and that is to guarantee the best prices for military families on all eyewear including designer brands." She continues by saying "we offer the best customer service, and every prescription order is handled by our certified options." 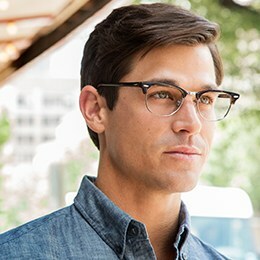 AFEyewear.com carries tactical eyewear as well as prescriptions lenses for issued eyewear and everyday eyeglass frames, this includes designer and premium quality labels. AFEyewear.com knows that while some units are issued protective eyewear, others are not. This is why AFEyewear.com offers both ANSI and ballistic-rated eyewear that helps military personnel meet their deployment eyewear needs at an everyday low price. 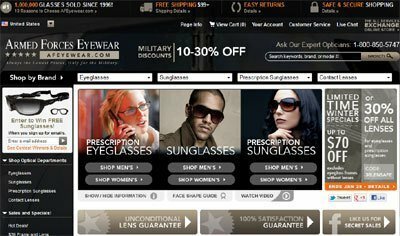 AFEyewear.com provides a 100% guarantee return policy in order to provide peace of mind for all military personnel and their families and offers a full refund within 30 days of purchase. AFEyewear.com wants to make buying eyewear an easy and enjoyable experience so that military families can forego paying more at a local optical store and start saving money with AFEyewear.com. Doctors of Optometry Guy Hodgson and Dhavid Cooper sold their five eye care practices and founded online eyewear company, FramesDirect.com, in 1996. In April 2008, at the request of AAFES (Army & Air Force Exchange Service), Congress and the Surgeon General's Office, FramesDirect.com began building an entire website specifically for active duty, veterans, retirees, and dependants of the United States Military. 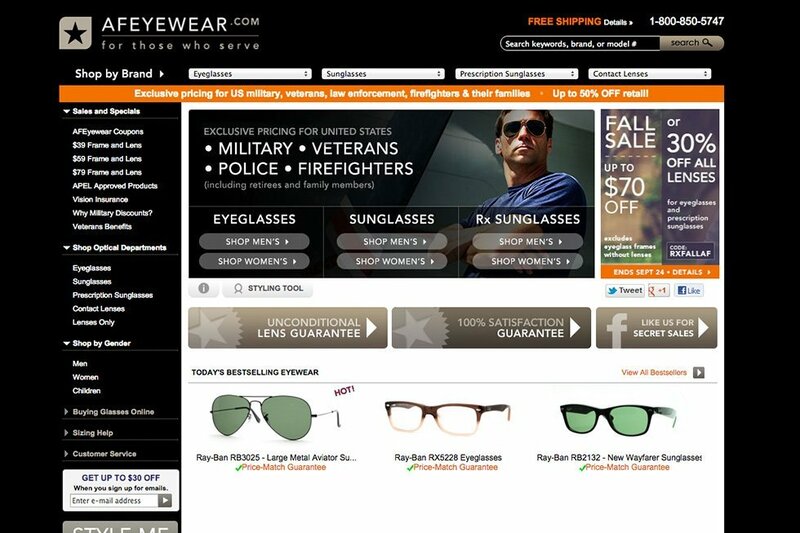 The military website, www.AFEyewear.com, was launched to the military public in August of 2008.